Our lineup of Honda vehicles has some of the most advanced standard technology amenities on the auto market, and we want you to get the most out of it. 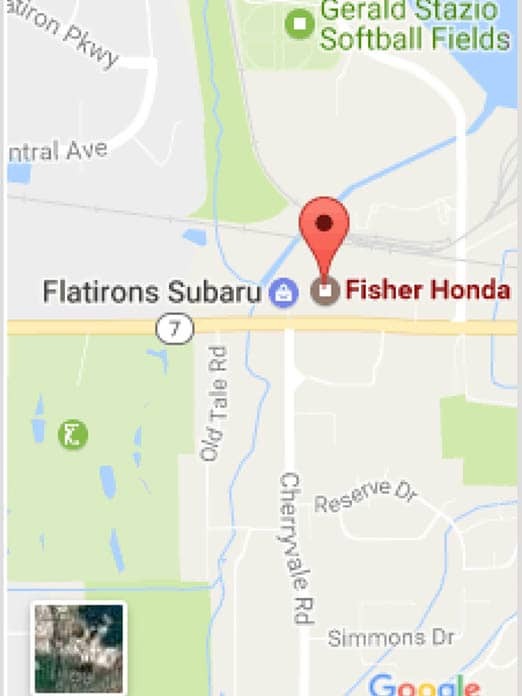 If you’re looking for help with your 2015 Honda CR-V Bluetooth or HondaLink systems around Boulder or Denver, Fisher Honda is here to help. Our service techs do more than work under the hood of your car; they sit in the driver’s seat and develop how-to videos and guides that detail routine maintenance needs as well as show you how to use technology like your navigation, HondaLink, and Bluetooth, all from your own home. You’ve probably heard of Bluetooth before; it’s the shortwave radio signal that connects smartphones to accessories. Your CR-V is about the biggest “accessory” your phone can have, and once they are “paired,” you’ll be able to make phone calls and stream audio straight from your phone and through your CR-V. Pair Your Phone: Pairing your smartphone to your 2015 Honda CR-V Bluetooth should take no time at all, and once it’s paired, you’ll always be synced, no need to re-pair. Answer a Phone Call: Your CR-V has a built-in microphone that lets you talk and drive, and your call can be heard loud and clear through the in-vehicle stereo system. Answering the phone takes just a push of a button. Make a Phone Call: If you need to make a call while you’re behind the wheel, you don’t even need to get your phone out. Just look up your contacts through the CR-V touchscreen interface, tap one, and let it ring. Unpair Your Phone: If you have a new phone or are experiencing technical difficulties, you might need to unpair your phone from the 2015 Honda CR-V Bluetooth connection, and it’s just as easy as your other Bluetooth operations. Don’t hesitate to contact our service center or stop by Fisher Honda if you have any questions about your 2015 Honda CR-V Bluetooth, HandsFreeLink, or navigation technologies. for a chat with a service expert. For more about Bluetooth on the Honda Civic and Honda Fit or to lear more about auto care from our instructional videos, click one of the buttons below.